Home / Market Insight, Financial Articles / Gadgets, Smartphones & Tech / Bitcoin Split 2017: What Is Bitcoin Cash? The bitcoin split has happened and now there is a new version of the virtual currency up for trade. Bitcoin cash differs from its parent due to its size. The original version of bitcoin has blocks that are 1MB in size. The new bitcoin cash has blocks that are 8MB in size. The increase in block size is something that bitcoin miners have been pushing for with the fork. Bitcoin miners have been pushing for larger block sizes because it can make trading of the virtual currency go quicker. It also offers the possibility of making the currency more scalable. The original plan was to increase block sizes to 2MB each. The bitcoin split including block sizes of 8MB comes as a surprise, reports Business Insider. With the bitcoin split, there are now two versions of the cyrtocurrency that will be competing against each other. Some exchanges have already said they won’t support bitcoin cash. However, it may still see success if enough are using it and there is a chance it could overtake the original bitcoin. Coinbase is one of the exchanges that it refusing to deal with bitcoin cash. However, this has made it a target for its users. The bitcoin split has resulted in owners that are now holding bitcoin cash. Despite this split, Coinbase isn’t going to allow users to access bitcoin cash because it doesn’t support it. There is talk that the exchange may face legal action over this decision. 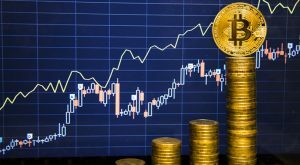 Article printed from InvestorPlace Media, https://investorplace.com/2017/08/bitcoin-split-cash-hard-fork/.